1. Hard-sided containers, such as hard plastic or glass, are the preferred containers for long-term storage. These containers should have an airtight seal. Check here for tips on how to use glass containers for milk storage. 2. Choose containers that are bisphenol-A free --> not polycarbonate plastic. 3. Containers must have been washed in hot, soapy water and rinsed. People have been asking me if we sterilize the bottles. We don't have a sterilizer and rarely sterilize. Instead, I just pour boiling or hot water on the containers after they've been washed. 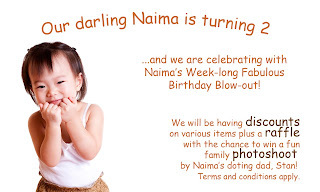 We stopped doing this when Naima turned 1. As a working mom, knowing how to properly store milk was one of the very first thing I mastered. Properly storing milk is very important especially since I was not one of those moms who was able to produce 50oz or so of milk everyday. It is also important that the caretaker be taught how to correctly store, thaw, handle and feed expressed milk. During my August talk in Davao, one of the topics I focused on was milk storage. I made a summary of various guidelines I relied on in deciding how to store Naima's milk. I've had several inquiries about milk storage and recently learned about a donee having the throw away several ounces of milk because her pediatrician felt that the milk was improperly stored. So I decided to post the summary I previously compiled to help nursing moms avoid wastage. In today's Philippine Daily Inquirer, there is an article about the Vatican approving breastfeeding photos or images of the Virgin Mary and Jesus. In a predominantly Catholic country, having the Vatican's support breastfeeding is a major step towards establishing breastfeeding as an infant-feeding norm. In 2008, it was reported that the Vatican wanted more "“artistic and spiritual rehabilitation” of 'loving and tender images' of Mary breast-feeding." In the Philippines, the group of Dr. Elvira Esguerra and Ms. Nona Andaya-Castillo has "commissioned the creation of a sculpture showing a full-breasted Virgin Mary in the act of feeding the Baby Jesus. The sculpture is expected to be completed next year and will show a 'humanized' Mary looking lovingly at the Baby Jesus as she feeds him, in the proper, 'full latch' breastfeeding position." Interestingly, as early as 2000, there has been a group of Marian devotees who organized the Our Lady of La Leche Movement in the Philippines. I'm not quite sure where the image is housed and there doesn't seem to be any updates to their website. Still, it is heartening to read about the increasing acceptance of breastfeeding in the Philippines and to know about the support that various sectors have accorded it. Thanks to Claire for the article heads-up! I'd like to congratulate L.A.T.C.H. President Buding Aquino-Dee for winning the public service award at the 2009 Working Mom Balance Awards! Public Service awardee Anna Lisa Dee, meanwhile, was honored for her breastfeeding advocacy as co-founder of the non profit group Lactation Attachment Training Counseling and Help (L.A.T.C.H.). She works as a breastfeeding counselor, resource speaker and contributing writer to various “mom and baby” publications and web sites. Dee is also a loving wife to her high school sweetheart Dudu and a doting mother to her children. You can read the entire article here. Congrats Budge! In line with several recent clinical studies that have demonstrated the efficacy of (anti retro viral) ARVs in preventing HIV transmission from mother to child during breastfeeding, the new guidelines call on all HIV-infected pregnant women to begin ARV treatment during pregnancy and for the mother or baby to continue ARV treatment for the duration of breastfeeding. The new guidelines encourage HIV-positive mothers taking ARVs to exclusively breastfeed their infants for the first 6 months, introducing appropriate solid foods while continuing to breastfeed for the first 12 months of life. WHO states that there is now enough evidence to support the use of ARVs while breastfeeding. "We are sending a clear message that breastfeeding is a good option for every baby, even those with HIV-positive mothers when they have access to ARVs," said Daisy Mafubelu, WHO's Assistant Director General for Family and Community Health. You can access the full text of the release here. My milk supply is going and it's a bittersweet time. Naima just turned 2 over the weekend. She still nurses at night but during the day, she is busy being a busy toddler. She has started school and goes for about 2.5-3 hours in the morning. She also does not drink milk anymore when she naps in the afternoon. However, when I come home from work, she still nurses - even if she just ate a snack. But I think that this session is more for comfort because she missed me during the day :). I have been dropping pumps and now do only 1 session a day. Still, the milk I get is more than enough for Naima's needs - which is why by the end of this year, I am hoping to completely stop pumping at work. What don't I miss about pumping? As I started dropping pumps, I've stopped watching the clock. I've also lessened the bottles and pump parts I bring to work daily. I've also started to enjoy a longer lunch break (no more quick eating to squeeze in pumping time!). However, I miss the feeling of being the only source of nutrition for my little girl. She has become little miss independent and seems to need me less and less. Pumping has become part of my daily routine that I feel that my day isn't complete without the pumping session. Plus, I feel guilty about not being able to store milk for the day (although Naima never drank my frozen milk and I just ended up donating the milk I stored from my work day). Naima's yaya told me that for the past week, Naima doesn't drink milk anymore when we are separated. She waits until I get home before she starts asking for milk. I still have lots of milk stored in the refrigerator and freezer. Since I stopped my early morning pump, I haven't been able to leave freshly expressed milk for Naima. So yaya has started to use the refrigerated milk. But she tells me that it's always a battle for Naima to drink the milk I leave. One more thing that’s stopping me (aside from mommy guilt) is the requests for donations I get. So far, I have always donated milk to moms who have yet to produce milk. Lately though, I’ve started turning away some moms because, I simply do not have enough milk to give. But with Naima refusing to drink expressed milk, I think it’s about time I wean from the pump. I have 3 pumps (1 for work, 1 for home and 1 for traveling) and they’ve been my very good friends these past 2 years. I’m very happy with my pumps performance but I won’t be sad to see them go. I initially just wanted to reach 6months of breastfeeding Naima – here we are, still nursing at 2. But I’m definitely looking forward to the end of this year when I can finally drop that last pump of the day, comfortably and without regrets.